I have shared some tips on how to buy and taste olive oil. But all that will not make any difference if you do not know how to use it correctly. So with this post I want to show how olive oil is used to get maximum benefits and taste. 1. Olive Oil is best used fresh. As I mentioned in previous posts, olives are fruit and olive oil is best when it is fresh. Best by dates usually are about 18 months to 2 years after harvest, but the truth is you should use your olive oil in a much shorter period than that. Ideally, use olive oil within one year of harvest. That is different though from once you open a bottle of olive oil. An open bottle of olive oil should be used within 3-6 months or less, so make sure you buy as much as you need for that period of time. 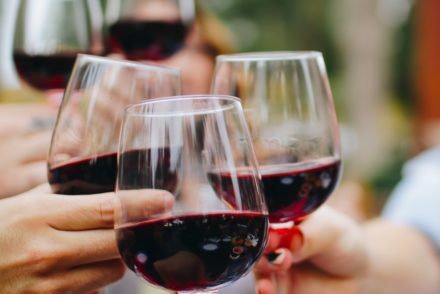 Do not buy huge bottles that you will not use for months, remember air and time eventually will lead to loss of antioxidants and flavor. So make sure you use the olive oil in a fairly short time. If it is part of your regular diet you will not have a problem with storing as you will be using it regularly. 2. Olive Oil is the main source of added fat. We know that one of the main characteristics of the Mediterranean diet is using olive oil as the main source of fat. While here in Greece we use quite a bit of olive oil, studies show that minimally you need 2-3 tablespoons of olive oil a day. To put this in perspective the average amount consumed in the U.S. is 1 teaspoon a day. I hear many people wonder: how am I supposed to consume 2-3 tablespoons of olive oil a day? They think it is too much, or that they will gain weight. But when the olive oil consumed within a Mediterranean style diet, you will not gain weight. That means that you will be eating mostly vegetables as a main course with a bit of bread and cheese resulting in average calorie level. Here is how we use olive oil on a normal weekday: For lunch (which is the largest meal in Greece and takes place between 1 and 3 pm) we usually have a typical vegetable dish (lathero), which I make with seasonal vegetables, olive oil and tomato and herbs in a casserole. In some cases I may roast the vegetables in the oven, again with olive oil. I use about ¼ cup olive oil for 1 pound of vegetables or beans. 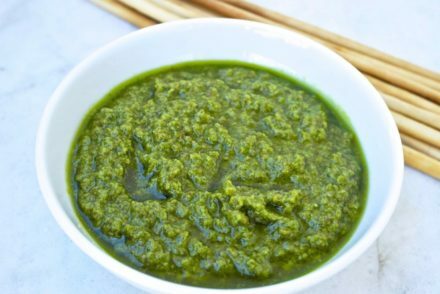 This makes about 2-3 servings and corresponds to 1 ½ -2 tablespoons of olive oil per person. For dinner we usually have large hearty salads using whatever is in season (summer: mostly tomatoes and cucumbers and other seasonal greens- winter: spinach, lettuce and other greens) with nuts and cheese and fruit and we will again use at least 2 tablespoons of olive oil. In the case we eat meat, such as chicken, again it is cooked Greek style in olive oil and tomato or in the oven with potatoes and olive oil. So with this pattern we usually consume about 2-3 tablespoons a day and the rest of the calories will come from vegetables, some bread (rice, potato or pasta), cheese, yogurt and fruit (and wine). 3. Olive Oil is not only for salads. When we say olive oil is the main fat, we do not mean only in salads but as you can see it is used for most cooking needs. 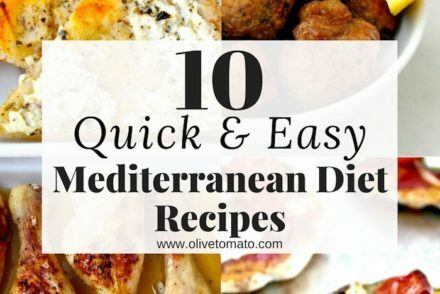 I do understand that some people may not like the taste of olive oil, but honestly in the Mediterranean cuisine, olive oil is part of the flavor of the dish. Also I will once again, mention that yes you can fry with olive oil, as the smoke point is high enough for home frying needs, and you will not even reach the smoke point which is about 410 degrees F for extra virgin olive oil. By lightly sautéing, you may lose a small amount of antioxidants but will retain most, so you are definitely still getting the benefits. 4. You should not re-use olive oil. Many people re-use olive oil after they have fried with it, that is a big no-no. Obviously this used oil will not taste as good, or fresh and the heat oxidizes it as well. 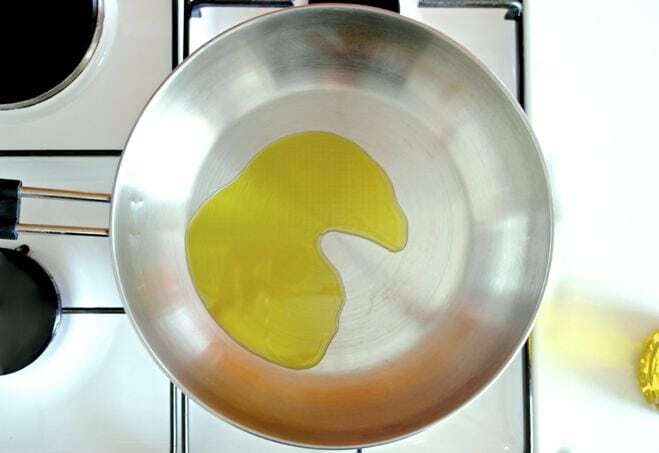 While frying or sautéing the first time with olive oil will cause a small loss of antioxidants, repeated use more than once or twice will cause greater loss of the nutrition and flavor qualities. A Spanish study published last year, based on information gathered from over 40000 Spaniards, showed that there was no association between eating fried food and coronary heart disease, but one of the details was that the food was fried in olive oil and was not reused, in other words they did not fry with the same oil over and over again. * Make sure you dispose leftover olive oil (after frying) correctly. Ideally you want to recycle it. Here in Greece there are centers where you can dispose your oil to be used to produce biofuel. If you do not have that choice, then you can pour it in non-recyclable containers that close well and throw it in the garbage. Do not pour it down the drain and rinse with hot water. This can cause backups in your drain. How important is it to eat most olive oil raw? Ordinarily I like to cook with half my oil and drizzle the other half on at the end, but when I’m watching my calories I have to choose between them. I don’t think cooking methods that avoid using oil come out quite as good in most cases as cooking with oil. But from a health perspective I’m sure it would be better to save the oil for drizzling at the end as much as possible. Traditionally in the Mediterranean diet was used in almost all dishes (even baking). There is a small loss of antioxidants when olive oil is heated, however cooking with olive oil as you mention does influence taste and texture of the food. Using half to cook and half to drizzle would the best choice. I really love the Mediterranea Greek diet. I was able to follow it on a trip to Greece a few years ago where we dined principally on vegetables and fish, or small portions of meat and eggs. We consumed perhaps less fruit as we were mostly eating out. I am finding it more difficult to follow the diet back here in Montreal, especially in winter as imported summer vegetables are pretty tasteless. However, my principal difficulty is with legumes and carbohydrates. I am not a meat lover, but I do have great difficulty digesting legumes (beans) and most carbs. I bloat up (1 or 2 sizes easily) and experience other digestive problems with beans, bread, etcetera. Chick peas spell disaster for me though I can tolerate lentils (which I actually love), but I can’t eat them too frequently. Do you have any suggestions? I enjoy your blog and absolutely love the recipes. Thank you. I would suggest that you include legumes gradually and in small amounts and make sure that you soak them before cooking. Regarding carbohydrates, you should look into any allergies that you may have. Hi Samantha, I would focus on freshness most importantly , in the post (https://www.olivetomato.com/how-to-buy-good-olive-oil/) I mention what to look for. Also check this post about adulterated olive oil https://www.olivetomato.com/can-you-really-tell-if-your-olive-oil-is-fake/. Another idea is to order directly from olive producers. There are many around the Mediterranean that you can order from them. I know particularly in Greece there are many small producers who will do this.